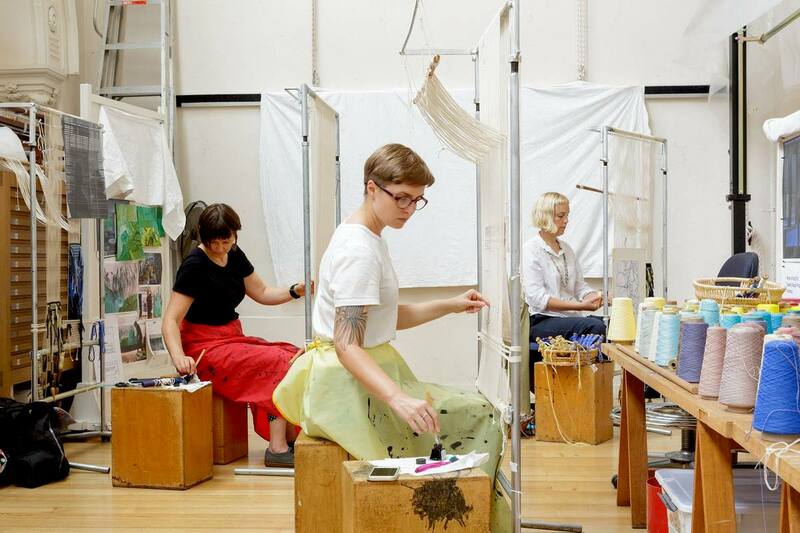 Dovecot Tapestry Studio is thrilled to welcome Australian Tapestry Workshop (ATW) weavers Karlie Hawking, Leith Maguire and Sophie Morris from 11 to 22 September as part of an ongoing international creative exchange. This exchange is designed to raise the profile of contemporary tapestry weaving by fostering talent, building relationships and sharing knowledge. By spending an extended period in the host country, weavers will engage with both familiar and new working practices, and immerse themselves in the local arts and cultural community. Dovecot’s Master Weaver David Cochrane is set to travel to Melbourne and join ATW from 16 October to 3 November 2017, to carry out his side of the weaving exchange. In 2014, Freya Sewell from Dovecot visited ATW, and in return Sue Batten came to Dovecot. In 2015 the exchange was continued with Milena Paplinska coming to Dovecot, and Jonathan Cleaver of Dovecot carrying out his exchange at ATW. More can be read about the exchange via the Creative Futures blog.